Two brothers move to a new town and soon fall in with the wrong crowd. Nothing unusual about that, except these particular no-mark punks also happen to be blood-swilling vampires. The older brother (Jason Patric) proves easy prey and is soon a fully paid-up member of the undead. 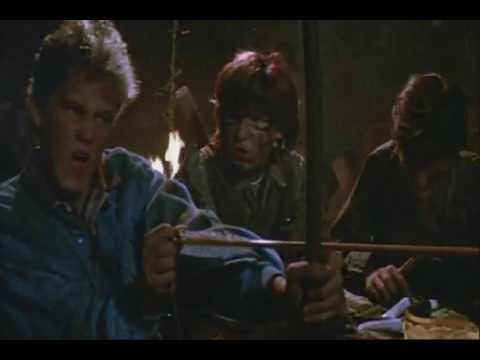 But the younger brother (Corey Haim) is made of tougher stuff and, along with a couple of friends, decides to make a stand. Pretty soon the suburbs start swinging to the sound of teen-vampire combat.